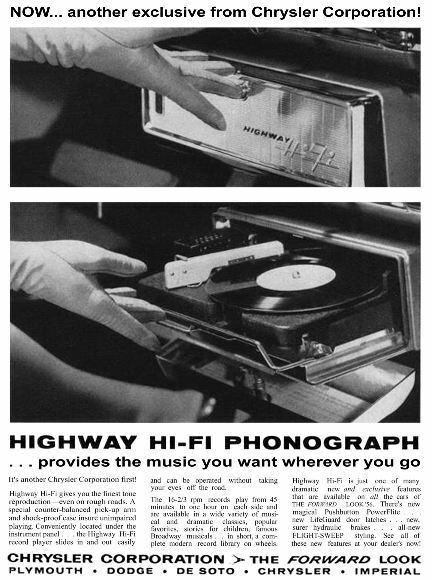 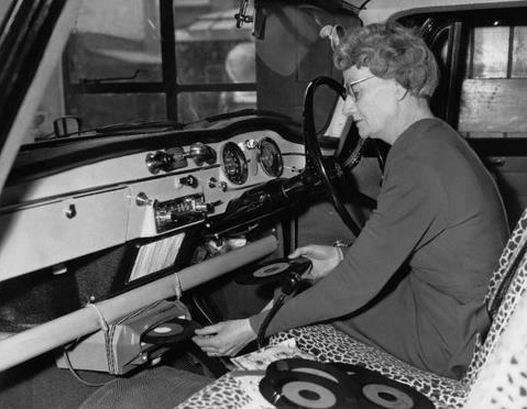 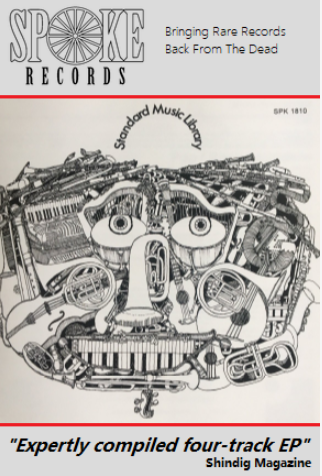 Putting such minor practicalities as potholes, speed humps, going round corners, record storage, changing them whilst on the move and the fact that they only played 45s aside, we think the concept of a dashboard mounted record player seems a sterling idea and one we approve of immensely. 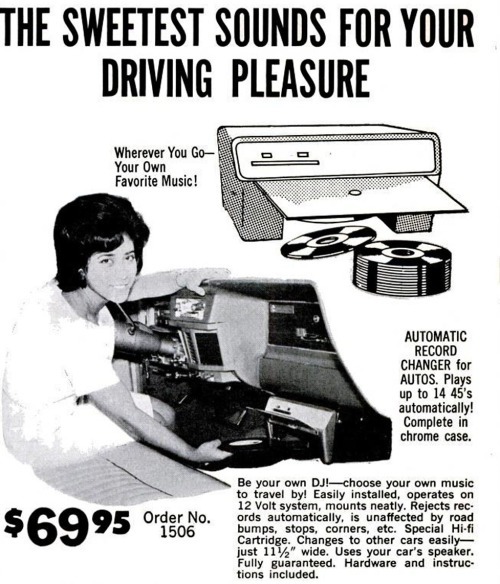 Quite how long this aspect of in-car entertainment lasted we really don’t know but we suspect that (a) it was something more for the rich and famous than us everyday folk and (b) the increasing popularity of cassette tapes in the late sixties would have put paid to any chances of record players becoming the in-car choice for music lovers. 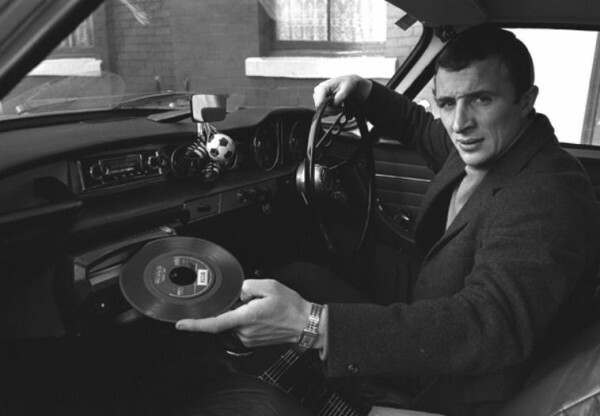 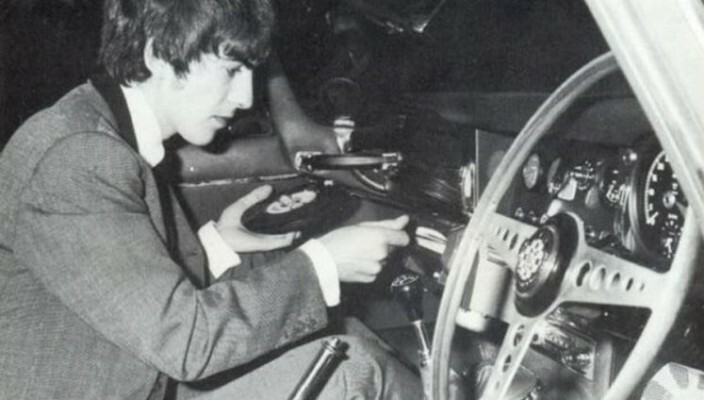 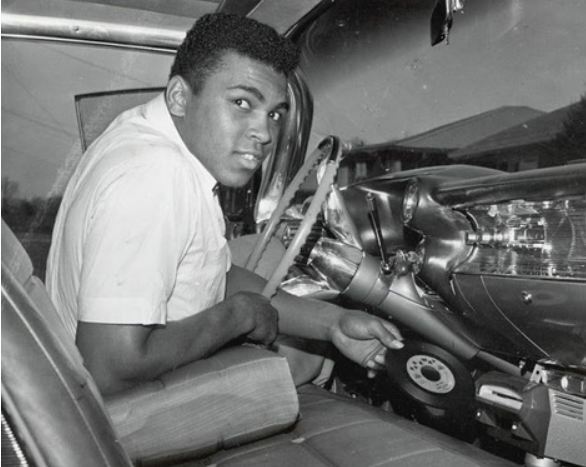 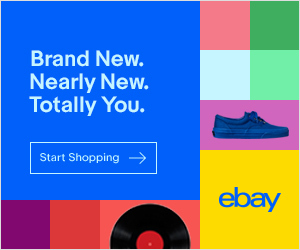 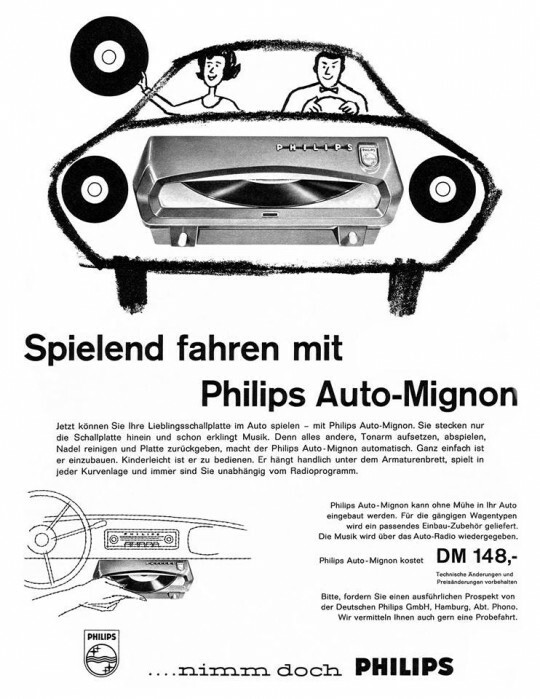 Take a look at Muhammad Ali, George Harrison and Manchester City legend Mike Summerbee sitting in their cars enjoying the benefits of vinyl-on-the-move from around 1964 or so and wonder at how the future of in-car entertainment could have looked if those pesky cassette tapes hadn’t come along and spoiled the fun.